I want to share some good news with you about a national award we’ve just won. You may have already seen our online design-your-own coffin tool on the website. But I know that when you’re doing an arrangement, it’s not always easy (or practical) to get onto a computer with a family to create a coffin design – especially in their home. So, we’ve developed a simple, 1-page, PDF template for manually designing personalised coffins with families. This printable template shows you the flattened coffin sides, ends and lid. This allows you or the family to draw or write on it and make notes about how certain images are to be used and where they should be placed. You can also jot down other ideas about the design in the ‘notes’ section. Email us the images the family would like used on their coffin. 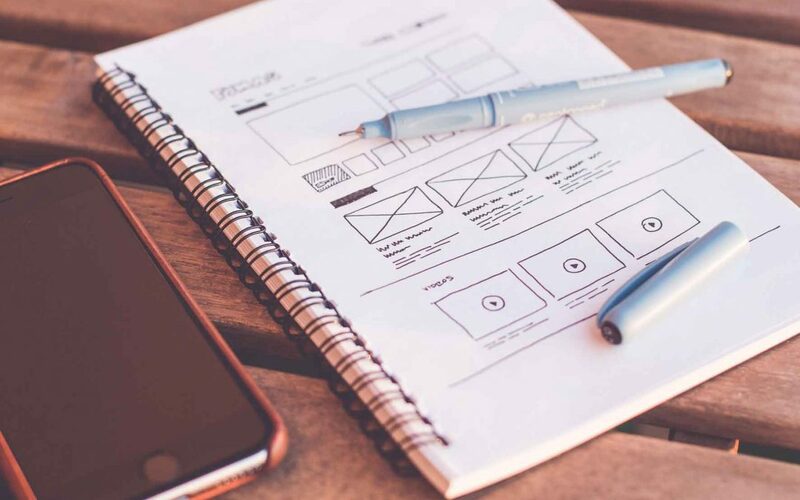 We’ll create the design from the completed template and notes, then email a 3D proof back to you to share with the family, for their approval (or modification). This template can also be used for people wanting to pre-arrange their funeral with you. They can write down their coffin ideas and keep this record with you, or with their other personal information to be referred to on their passing. Contact us for your copy of the template. It really is simple to use…and especially useful for in-home arrangements. 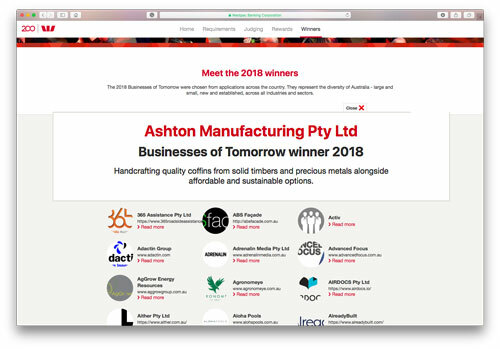 Ashton Manufacturing have just been announced as one of the winners of Westpac’s Businesses of Tomorrow awards for 2018. Deeply understand their customers’ needs.